High-speed rail line linking northwest China's Xi'an and southwest China's Chengdu, went into operation Wednesday, slashing the travel time between the two cities from about 11 hours to just 4. The first high-speed train left Xi'an, capital of northwest China's Shaanxi Province at 8:22 a.m.. It will make 14 stops before reaching Chengdu, capital of Sichuan Province. With a designed speed of 250 kph, the train will reduce the travel time between the two cities to four hours and seven minutes. The travel time will be further shortened to just three hours 27 minutes at the end of this year. The 658-km new line is China's first rail route running through the Qinling Mountains, which are the natural boundary between north and south China. Served as a natural defense barrier in the ancient times, the Qinling Mountains are famous for its steep terrains and risky roads. 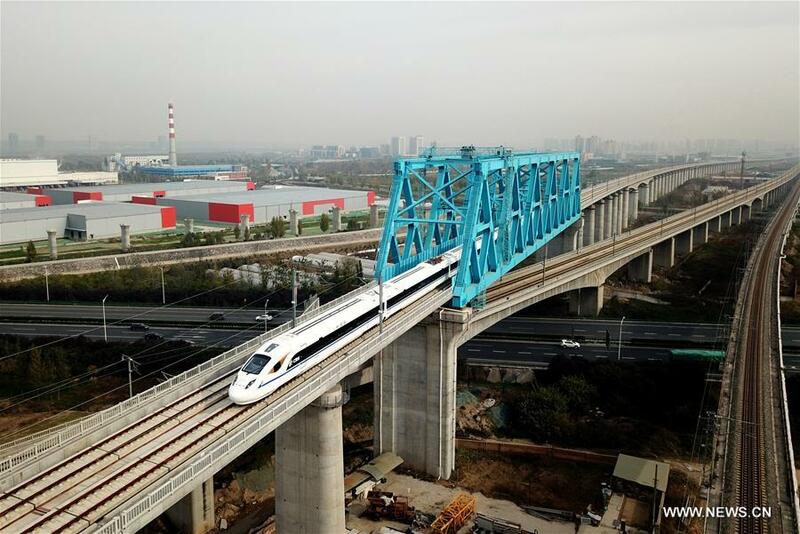 Therefore, the Xi'an-Chengdu railway features many tunnels and bridges and includes a 16-km single tunnel with double tracks, one of Asia's longest, according to its builders. Experts believe the high-speed rail will further enhance China's high-speed rail network and support the development of west China.